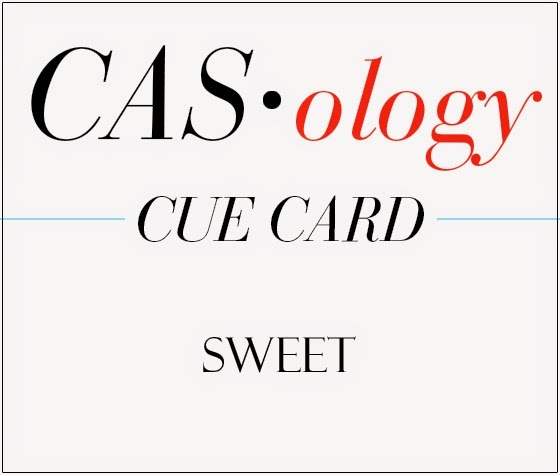 This week's CASology Cue Card is Sweet! 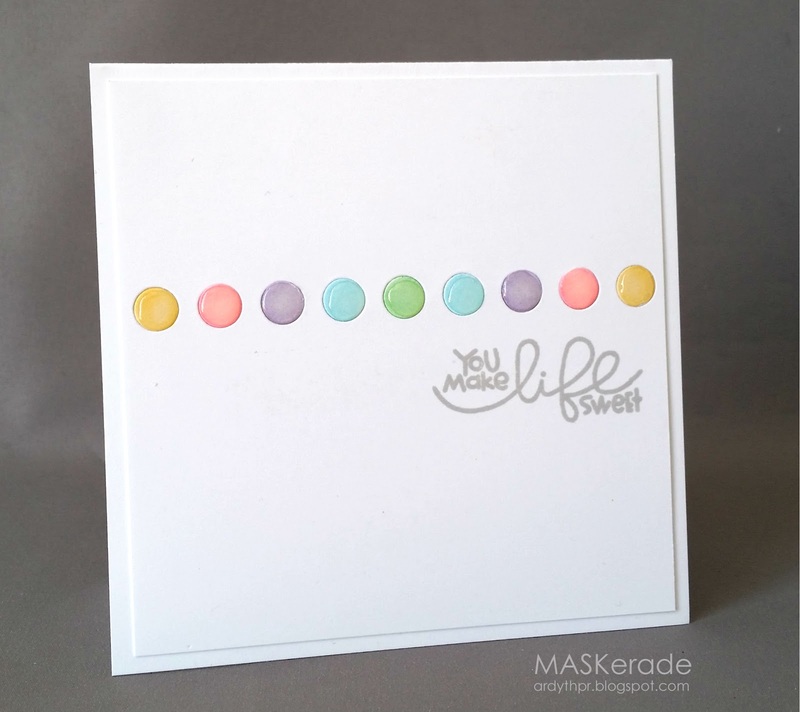 I went sweet 3 ways - I used the word (Paper Smooches Sugar Rush stamped in HA Soft Granite), colours (pastel Copics), and shape (meant to look like candy dots by using a Simon Says Stamp die of a row of dots, coloured, inlaid back into the panel then coated in Glossy Accents). We can talk CAS forever - there are lots of debates and lots of opinions about it, but for me, it always comes down to one main component - white space. In fact, I believe if you have enough white space, your 'clean' will allow you to cheat a bit on the 'simple' and give leeway for a little bit of colour, pattern, texture (or all of them!). Now it's your turn! Show us how sweet you can be! Well, we can talk about CAS a lot but you are still the Queen of CAS. Love you take on the challenge! This is indeed sweet! I love the look of your candy dots! I am so CASEing this one, Ardyth... so sweet!! Three cheers for tons of glorious white space!!! I thought of those candy dots on strips of paper right away!! This is cute! Love the shine on your little candies - they look good enough to eat! Whenever I color dots with my copies they don't look that smooth or perfect! Do you have any tips for me? Oooh, candy dots! This card brought me right back to my childhood! Perfectly sweet CAS card, Ardyth! Too true Ardyth! love your CAS definition! You went big candy dots and I went small. I too will be CASE-ing this. Love that glossiness! It's so right! Hey Ardyth!! As usual your card is amazing. I love the dots in a row. I have that die and wondered what do I do with it. Now I know!! Super Sweet!! Super sweet. Like those dots on strips of paper from the candy store. They still sell them at the General Store in Lexington Michigan!